Remodeling is a broad term used with home improvement. It can mean a simple updating or facelift project or it can apply to major renovations and additions. 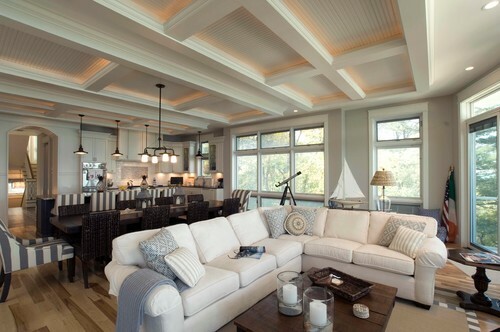 The possibilities for remodeling are limitless. It is one of the best ways to fall in love with your home all over again and boost its overall appeal and value. If you are preparing for a remodel at your home there are some things that you will need to prepare yourself and your house for. These projects can really be somewhat of an “emotional roller coaster” for homeowners. The more prepared you are and the more knowledge you have for what will be taking place in your home during a remodel, the smoother and less of a stressor your project will be. 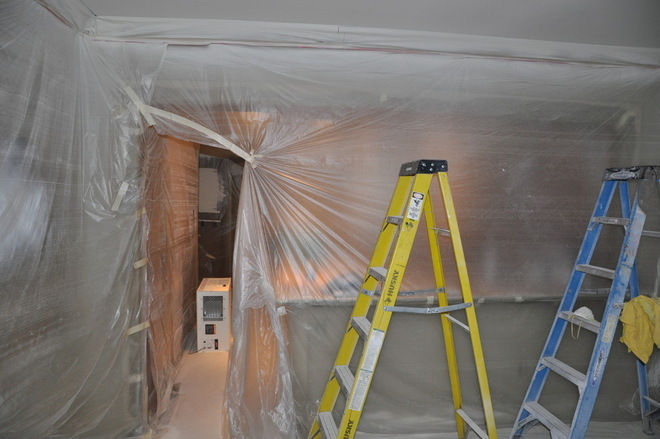 The beginning and ending phases of a remodeling project are always exciting and the easiest part of any project. Starting a remodel project involves you creating, collaborating, and taking steps to turn areas of your house into improved areas that fit your personal lifestyle and taste. This means working with your contactor on a design, selecting materials, fabrics, colors, etc. – all the fun stuff! Then we look at the finishing phases, where everything comes together and you are on the brink of being able to thoroughly enjoy what you have just accomplished and set out to do… making your dream home a reality! What most people do not focus enough on and what you must prepare yourself for when considering a remodel at your home is the “in-between phases” and actual construction that will be taking place in your home. Construction is loud, disruptive, and messy. Remodeling means that all facets of construction will be occurring inside your living space, while you and your family are there. In addition to the disruption to your everyday life and routines around your home, there will undoubtedly be hick-ups and unfortunate discoveries along the way that will require tough decision making and patience throughout your remodeling project… lots of patience. This is where it is absolutely imperative that you are communicating with your contractor to make sure everyone is on the same page and combining all efforts to make the process as smooth as possible. You need to prepare for your house to get a little dirty. 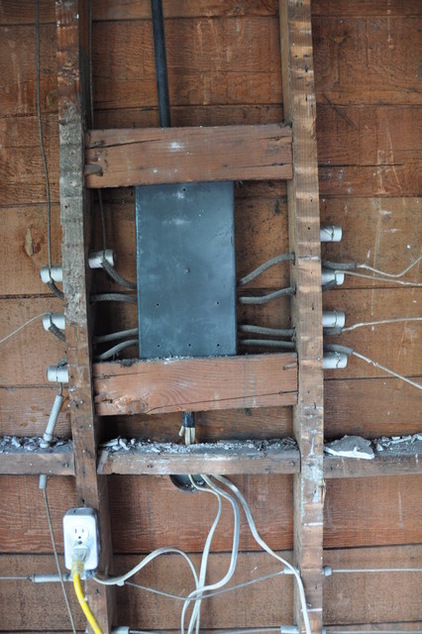 The initial tear out and demo phases of a remodel project are not very delicate, to say the least. There will be added dust in your house for the first few weeks, but there is plenty that you can do to minimize the dust and keep it out of the other areas of your home. Make sure you communicate with your contractor on ways to do this. It could be as simple as putting up plastic barrier walls or using fans. Regardless, prepare yourself to see some dirt and debris in the beginning, it is pretty unavoidable. Prepare yourself and your family for the noise. This may not be an issue if you and your family are not home many hours of the day, but if you work from home, you will need to make sure you setup your home office as far away from the remodeling work as possible. It will be tough to completely get out of reach from the screaming buzz of the saws and pounding of hammers but the more prepared you are for the inevitable noise that is about to take place the less frustrating it will be. This can be another area to communicate with your contractor on—discuss work hours and make a plan for minimizing the noise when you and the family are home. Next, be ready to make some tough and potentially costly decisions, and quickly. It is not uncommon for it to be discovered that something is not where it is supposed to be when workers are ripping into walls. Sometimes designs and plans have to change in order to accommodate for new discoveries and unforeseen circumstances. Remodel projects are somewhat notorious for going over budget and a major cause for this is that there are so many unknowns and potential problems hiding that can be surfaced when work begins. So prepare yourself for the occasional blip and minor problem to arise and be ready to make decisions quickly to keep things on schedule. Again, it is very important that full communication between you and your contractor is taking place. This ensures that everyone is on the same page, problems are resolved, changes (if needed) are made, and that there are no delays to keep costs and stress levels down! There will be some headaches and hang-ups along the way but when all is said and done—you will have a beautiful, new, and improved living area to enjoy. Again, to make this disruptive mess known as remodeling as smooth as possible—focus on getting prepared. The best way possible to really be prepared for your remodel is to have an open line of communication with your contractor. Make sure you collaborate with him or her and think about preparing your home for construction. 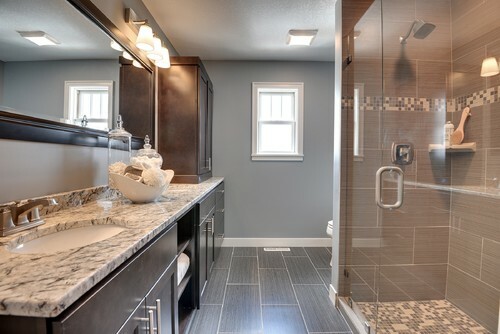 Express to your contractor what things are most important to you throughout the entirety of the remodeling process. Whether it is making sure there are dust barriers put up, making a plan for minimal noise on the days that you work from home, or changing the paint scheme—keep your contractor on the same page and in touch with your thoughts, goals, frustrations—give them some constructive feedback. The more insight your contractor has on what is important to you, the easier and smoother it will be for him/her to guide you and your project in the right direction. ← Tired of Deck Maintenance?